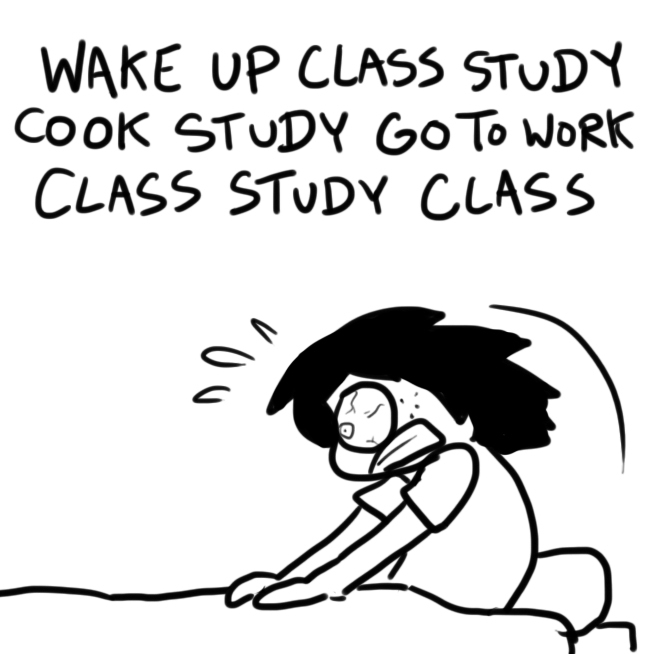 My super-exciting life as an almost-adult | I think in comics. My lifestyle is at a weird in-between right now. It’s because I’m not taking classes. I’m on co-op, working the typical 40 hours a week. I don’t live in a dorm anymore– I’m living in a house out in the suburbs. I drive a car, pay my own rent, buy groceries and cook my own meals. It’s a terrifying prospect. Yet, I think this must be what being “settled down” and “old” feels like? I love how you’re all like, “YES! !” Every time something good happens. 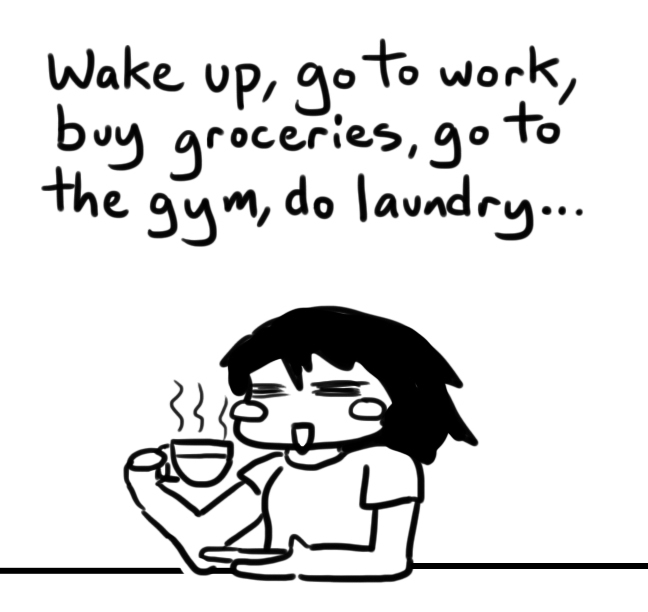 But, seriously (why do I “always” say that? ), you are experiencing something that most kids/teens would hate to imagine. As long as you stay a ‘kid’ inside, remember who you are and where you came from, then growing up can be fun! Uh, oh. Hilari O’s!! You know like Spaghetti O’s. Never ate those things, but you still can and feel even more like a kid!! You’re right! Have you ever watched The Last Lecture? It’s a lecture by a university professor who was diagnosed with terminal cancer. He gave this one last lecture where he talks about his life, the lessons he’s learned, and the advice he wants to give his kids before he died. His most important message was to “never lose that child-like wonder,” and to always have fun! He wasn’t wrong! I guess I have to go eat some Spaghetti O’s and Dunkaroos! Thanks for the recommendation! I now have The Last Lecture coming to my library. Enjoy it…it will change too. I am enjoying it! It’s nice to have a relaxed lifestyle for once. Dude, you’re still a teenager? How old even are you? Aren’t you also in college?